Bankruptcy Information | Do I Have to Give Up My Pets in Bankruptcy? Do I Have to Give Up My Pets in Bankruptcy? 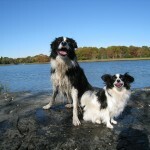 Home > Bankruptcy Basics > Do I Have to Give Up My Pets in Bankruptcy? 24 Sep Do I Have to Give Up My Pets in Bankruptcy? What does pet ownership have to do with filing bankruptcy? It is just one of the many expenses of life that most of us underestimate. Unless you understand and are prepared for the real cost of owning a pet, you are in for a shock and could literally go bankrupt. I’ve seen it happen many times. I get to meet all of my clients’ pets. Doing in-home bankruptcy consultations for 18 years, I have seen Sugar Gliders, Ferrets, Pot Bellied Pigs, African Grey Parrots, Boa Constrictors, Cuban Rock Iguanas, one Alligator and countless varieties of cats and dogs. I’m still partial to Border Collies. When it comes to puppies for sale, here is my advice: leave your checkbook at home. Nobody believes you when you say you are “just looking.” Tails will wag, checks will be written and you will begin a new and expensive 14 year relationship. In the past 5 years, I mistakenly brought my checkbook with me on two particular occasions. I now own a Border Collie and a Papillion. 3. Where pet care is more expensive, the overall cost could double. 4. A healthy $ 1,000 high-quality purebred will cost less than a poorly-bred $ 100 puppy. With a bad economy, many people are finding pet ownership too expensive; especially for larger pets. My wife, for example, grew up riding horses. She cannot recall a time when she has seen more horses for sale. Many are even being given away or abandoned. It is not unusual for a horse owner to wake up with more horses in his pasture than the day before. What about “normal” pets? My friend’s dog was sick for months. After many tests and expensive monitoring, x-rays showed that the dog had eaten a “Christmas Bear” decoration. Fortunately, the dog recovered after surgery and $6,000 in vet bills. The owner’s budget did not fare as well. Imagine having to pay an extra $500 month for 12 months just because your dog ate a $ 5 ornament? Not so happy holidays. I’ve never met a client who truly wanted to file bankruptcy. But it is the proper solution when jobs are lost, income is reduced and debt becomes unmanageable. In a Chapter 7 bankruptcy, I have always inserted “pet expenses” as a line-item in Schedule J of the bankruptcy petition. It is a common expense for many families who are struggling in this difficult economy.